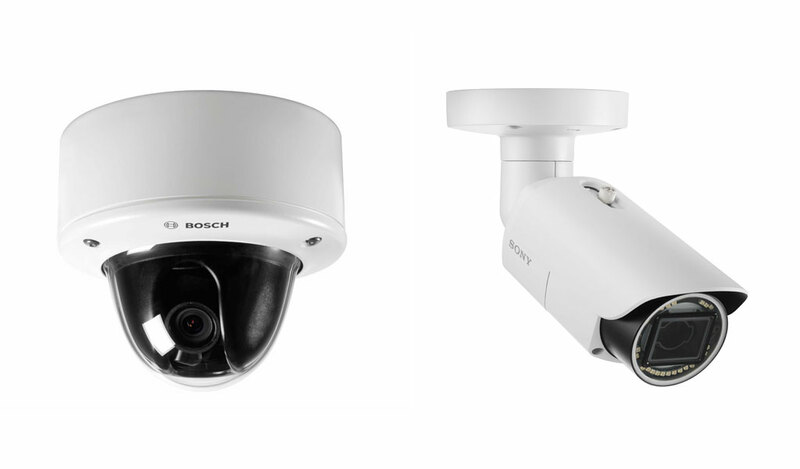 After the official approval of the antitrust authorities, the business partnership of Bosch Security Systems and Sony Corporation in the field of video security solutions became effective by February 1, 2017 – except for in China where the partnership will start on April 1, 2017. Both companies will now focus on strengthening their collaboration that was first announced in November 2016. The partnership entails a both sales and marketing cooperation as well as a technical collaboration. As part of the sales and marketing partnership, Sony’s video security sales and marketing associates joined a newly formed dedicated team within the Bosch Security System organization. Sony`s video security customers, in all markets except Japan, will be served and supported by this sales and marketing team. “We are happy to welcome these experienced colleagues in our organization and are convinced we will further grow the business with Sony’s products by providing excellent support and service to our customers”, says Michael Hirsch, Vice President for Sales and Marketing of the Sony Security Business within Bosch. “We are delighted that Sony’s video security customers are now being supported by Bosch Security Systems. We are moving forward with this partnership which will feature jointly developed products that fully leverage our industry-leading expertise in video image quality and performance”, adds Toru Katsumoto, Deputy President of Imaging Products and Solutions Sector, President of Professional Products Group, Sony Corporation. Regarding the technical cooperation, both companies are aiming to set new standards with regard to high resolution video imaging, combined with excellent light sensitivity, complemented by Bosch’s expertise in built-in video analytics and latest bitrate management techniques. In March 2017, Sony will launch eight new Full-HD (1080p) video security cameras within its sixth generation (G6) range of network cameras, meeting the ever-increasing demand for greater image clarity within the video security market. New G6 cameras’ high sensitivity capabilities ensure that the color integrity of images is maintained even in extreme lowlight situations. At the same time, Bosch is updating its portfolio concerning video analytics and bitrate management. Starting as of May 2017, all network cameras from the IP 4000 series will be equipped with built-in video analytics as a standard as well as latest bitrate management techniques combined with H.265 video encoding, reducing bitrate by up to 80 percent. Both Sony’s and Bosch’s innovations will be presented at the ISC West 2017 (April 5-7) in Las Vegas, USA.